* Monthly quilt blocks featured in a new Quilter’s Planner Sampler Quilt pattern by Cheryl Brickey! * Flat Rate $5 U.S. shipping! 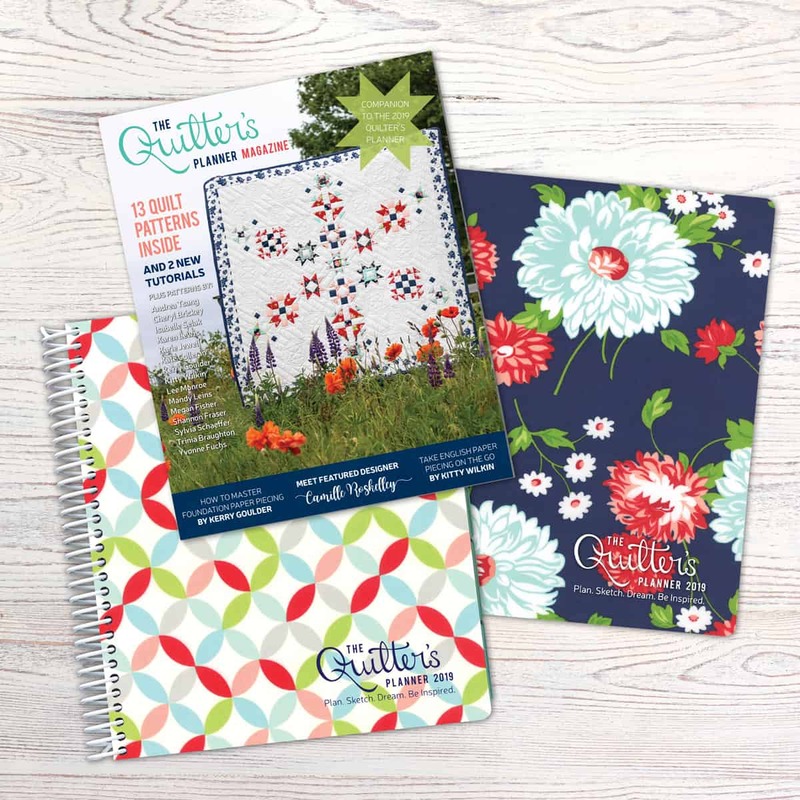 When you order, you will receive an order confirmation email from [email protected] that contains your link to your free quilt pattern by Mandy Leins. 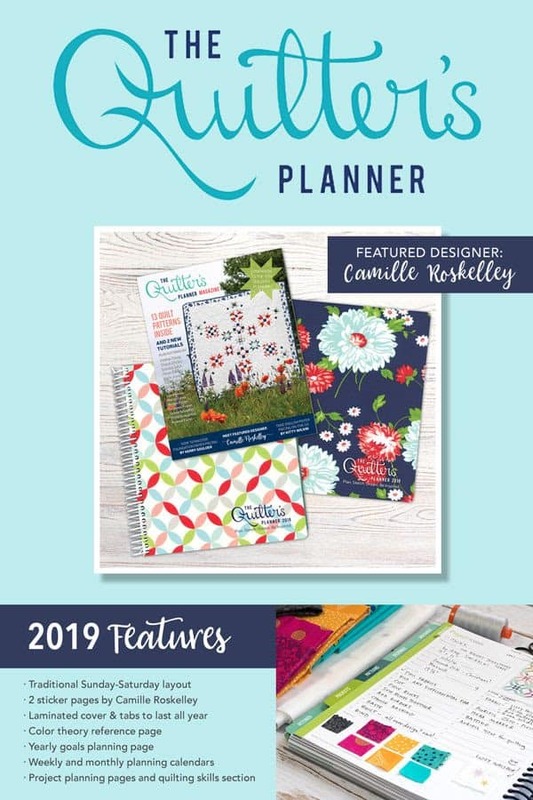 You will also receive a tracking email in September once your planner ships. If you do not receive either email, please check your spam folder. If you are on a mobile Apple device and are experiencing trouble downloading the PDF, these instructions might help. All sales are final. Returns are only accepted if there is a manufacturer’s defect.